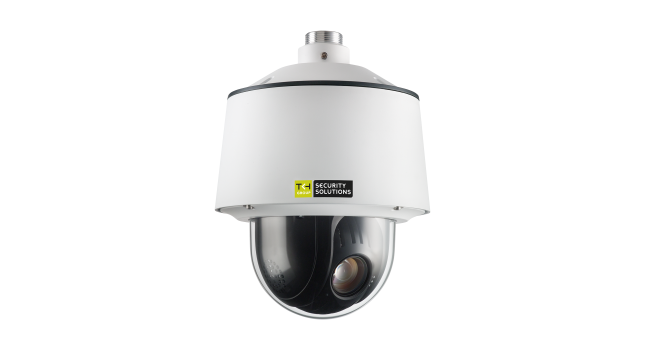 This is a 3 megapixel IP outdoor PTZ dome camera providing clear images in any situation. The camera allows streaming of 3 megapixel HD 2048 x 1536 @ 30 fps. The autofocus 36x zoom lens provides sharp and clear images at all times in both wide angle and tele, while image enhancements such as 120dB WDR, 3D DNR, defog, and HLC can be used to influence image quality in difficult lighting conditions. With regional cropping, details can be seen in the image even with low bandwidth, reducing storage requirements. A set of intelligent VCA features assists the operator to detect any anomalies and watch over your safety.